Hi Everyone! Welcome back to another look at Doodle Pantry's February 2014 release. This time, I'm showcasing a card made with a set illustrated by Laurie Wilson and previously sold at CDS. I am so happy she has all of these sets back. I made this card using Moose Friends. My husband is a huge fan of moose, so whenever I see moose stamps, I go a little nuts. For this card, I actually combined two of the images from the set and copied a little extra grass from the baby moose image. I used Fireworks to do this. Although it's not hard to copy a piece of an image, sometimes you have to erase things around it to use it. That's what I did here. The moose were printed on white card stock and colored with Spectrum Noir markers (bird - TB4, GB5; grass - CG4, DG3, DG4; moose - TN1, EB3, EB6, EB8). The card frame is a cut file from Silhouette. I also cut a branch from another cut file and added it to the tree to fill up the blank space above the moose. I distressed the card with close to cocoa ink from Stampin' Up! The designer paper is from another Doodle Pantry set called Handy Birdie. The sentiment is from Moose Friends. Last, I added brown candy buttons from Stampin' Up! Don't forget the HUGE sale going on until February 8th. Wow, what a fantastic design. Adorable with fabulous details. Beautiful work, Susan. I love moose too...use to kiss the nose of one when I was little as we entered the moose lodge...very cool as a child I thought. You are so much better than me picking out fun silhouette files and envisioning them. Really cute card! Love the moose with the blue bird on his antlers and the great trees. Thanks for joining us at Seize the Birthday! Love the moose, great sentiment fabulous job on your card, thanks for playing along with us at the Drunken Stampers for the ATG challenge. This card is so cute! Love the sentiment pun :) Thanks for playing along at Seize The Birthday! So cute! Love the image and the sentiment. Hope to see more of your creations here in the Challenges 4 Everybody. This is great. I love all the details you have added. So glad you joined us at Opus Gluei! So so cute, thanks for playing along in our Anything goes challenge at Catch the Bug. What a great project, very cute!! Thanks so much for Joining us for our Feb Anything Goes Challenge at Catch the Bug, I hope you join us again very soon. Awesome Susan I LOVE the silhouette background wow! Awesome is right, love the branches in the background and how you added a little extra grass on the image. Terrific card! Loved seeing you put part of this card together for a fabulous result. So cute! 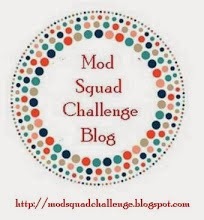 Thank you for joining us over at the Scribble and Scrap Challenge. Good luck.